Learn how to grow your money! Want to grow your savings account? Learn how to invest in stocks! SprinkleBit is a social network where you can follow friends and top investors, and see exactly what they are buying, or selling, and why. You can invest risk-free in our stock market simulator, using our own currency SprinkleBucks. We have tons of smart features to help you find the right stocks for you. Start putting together your own portfolio today! Investing has never been this easy. "When the market is going well, it’s all about greed, and any platform will make money … Now, when you have to actually know which stocks are going to go up, you need a tool like this." "Millennials are overlooking, that they belong to a "do-it-yourself" demographic who won't have Social Security to fund a portion of their retirement. SprinkleBit has taken this mistake and created an opportunity." "SprinkleBit uses crowdsourcing to provide assistance with the nitty-gritty aspects of trading. They show investors how to turn their investments into a souffle - that rises, and rises." • Value Prediction Index (VPI) - An algorithm that uses crowdsourced data to accurately predict if a stock will perform well. • Unlock our Premium Education chapters. • Filter your activity feed to get quick access to news and ideas about stocks in your portfolio and watchlist. Get your monthly SprinkleBit Premium subscription through the app. The first month is on us! • The price of subscription: $9.99/month or equivalent for your country. • The payment will be charged to iTunes Account at confirmation of purchase. • The account will be charged for renewal within 24-hours prior to the end of the current period, and identify the cost of the renewal. • Subscriptions may be managed by you and auto-renewal may be turned off by going to your Account Settings after purchase. Brought to you by Sprinkle Group. We’re building one borderless investment experience. - Trade with real money! Simply sync your account with SprinkleBrokerage and start investing for real. It would have been nice to test out this app however I can’t even get my email confirmed. For starters, I have to say that this is a good looking app, compared to most stock apps. It's still crazy busy and not simple like Robinhood but it's got a nice design. However, that's where the good points end. You can only login via social media logins (which I guess would make sense for this app) and it starts you on a tutorial showing you how to use it. The tutorial is useless, like someone can't figure out how to order a stock using the big "buy" button and worse yet, the tutorial is not sandboxed! So the actions you're performing on the tutorial are actually buying a stock for your fake account, and post about it on FB or Twitter, then when the tutorial is over you have to back and try to sell it. Very awkward. Next the app is crazy confusing. Too many sub menus and not easy to use at all. I have no idea where to add watch lists and when you buy stocks they take, like, 5 minutes to show up in your portfolio so you think you messed up or something. Then I was in the middle of buying a stock and decided to change the stock to a different one (which it let me), pushed the order through and looked good but it bought my old original stock. At this point I had enough, and deleted the app. It's a investment learning app but not easy to learn. Hey! Thank you so much for your feedback, we have a new user experience and we hope you like it. We have really taken all feedback to our heart and aim to please all of you awesome users! I'm a total novice at trading and just starting to understand the fundamentals. I wanted to learn more about stocks and such, and hopefully get my feet wet in trading as well. 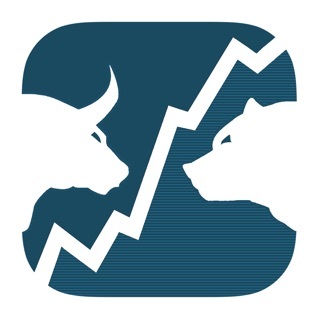 My friend showed me this app called Sprinklebit that blends social media and trading. So I try the Sprinklebit app and am amazed at how well it navigates, how easy it is to read and follow other traders, and how functional it is. Mind you I just started playing with the app so I haven't started trading, but I enjoy following others to see how more experienced traders do it. I highly recommend Sprinklebit for the novice like me to figure out how trading works!